Special counsel Robert Mueller's finances shows he used his career of "public service" to cash in Clinton-style with paid speeches to Goldman Sachs and one of Mexico's largest banks. When special counsel Robert Mueller took his new job in May, he gave up a law firm partnership in which he had made almost $3.5 million since the beginning of 2016, according to a financial disclosure released by the Justice Department on Tuesday. 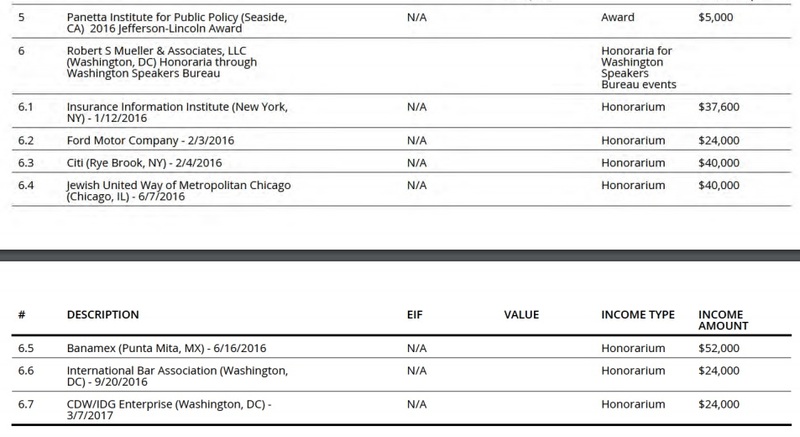 Mueller's client list from his former firm, WilmerHale, reads like a who's who of America's most prominent businesses, including Facebook, Apple, Intel, Sony Pictures, Booz Allen Hamilton and the National Football League. 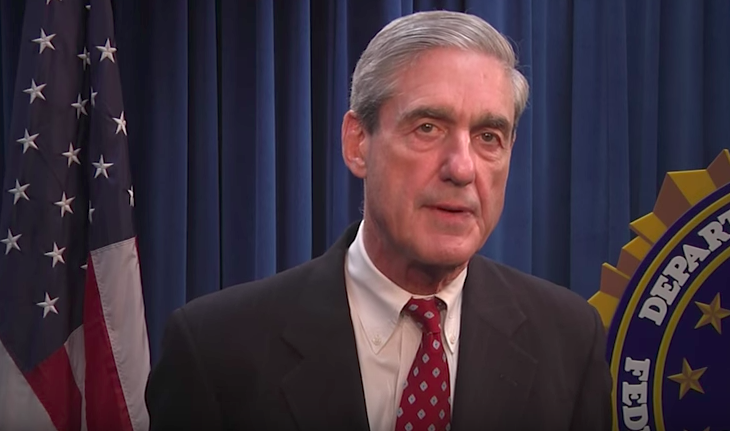 Mueller was also on the paid-speaking circuit in recent years, addressing businesses like Goldman Sachs, charities and lecture series, as well as lobbying groups like the Nuclear Energy Institute and the Insurance Information Institute. Mueller's speaking engagements brought him about $241,000 since the beginning of 2016, the report says. His most lucrative speech during that period was to the Mexican bank Banamex for $52,000. 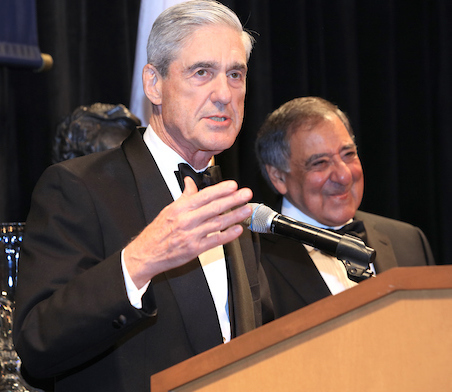 Obama's former CIA director Leon Panetta's also gave Mueller $5,000 as an "award" at a ritzy gala. The Jefferson-Lincoln Awards are presented each year to individuals whose professional achievements represent exceptional commitment to the principles of our democracy and a dedication to encouraging the healthy function of the United States system of government through an informed electorate. They go on to say the award gala featured an "outstanding four-course, gourmet dinner with fine wines prepared by honored local and visiting chefs." Mueller is a swamp creature who has every conflict of interest in the book.